I have done digital media work for a wide variety of companies, from several industries, operating at different market positions within their respective industries. See below for a sample of some of these projects. I have been requested to do facebook page apps for clients for various reasons. 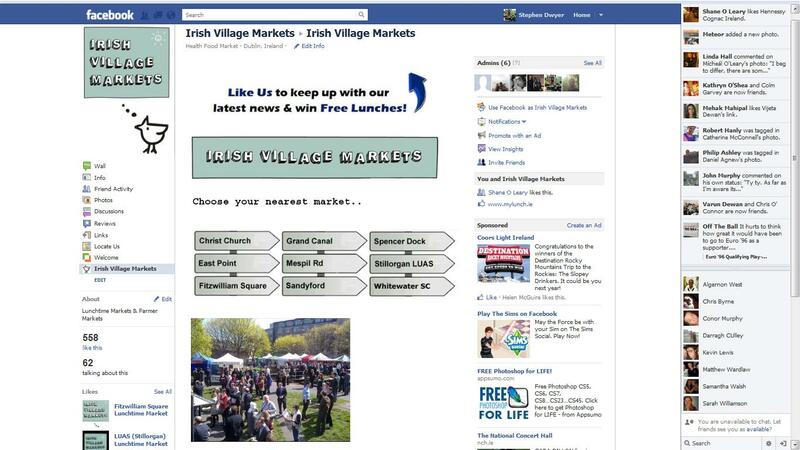 A main reason has been to make their page stand out more versus competitor pages. A landing page gives consumers an initial understanding of a company brand & offering, which may not be as clear from just looking at posts on the facebook wall. 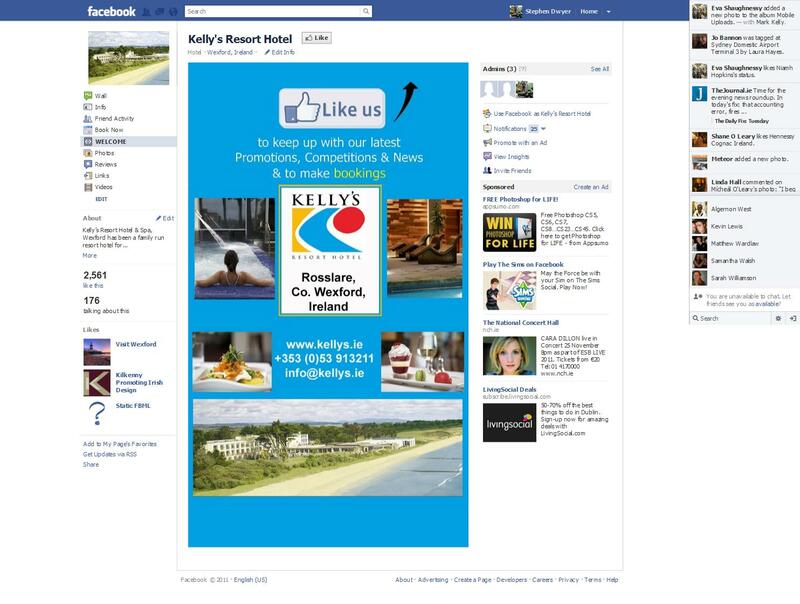 Providing an incentive to like the page also proves effective (e.g. reveal fan-only content). 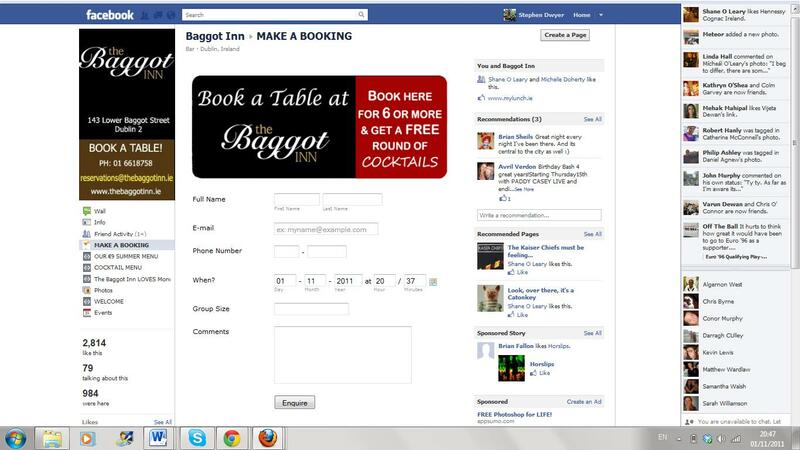 Other tabs I have put in place allow businesses to drive physical footfall from their facebook page to their premises. A strong example of this is a booking form tab, for a restaurant or bar . Whenever someone fills this in, the page admin gets an email telling them who has booked, for when & for how many people. Experience with using facebook tab apps to boost our own company facebook presence, coupled with my graphic design experience means any client pages are put in place through taking on board what experience has taught both looks & works well. Experience with graphic design means I can create artwork for campaigns that reflects the overall campaign theme. The wallpaper above, for the wrap campaign, is a case in point. I also created artwork for a summer themed campaign they were putting in place. The wallpapers appear very distinctly on the site so are a very effective promotional tool. 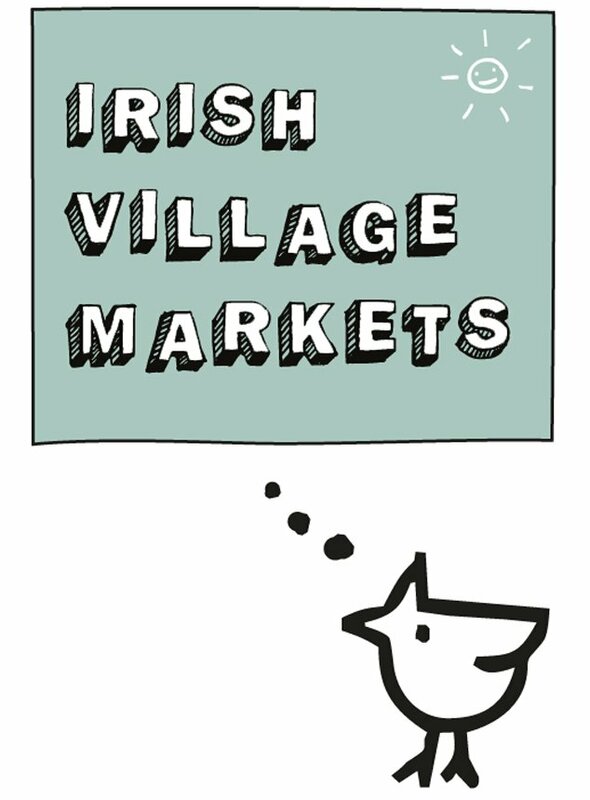 I coordinated a huge competition for a lunchtime market operator in Dublin, whereby I put in place all promotion for a competition (run in connection with 2 prominent websites) where there were 240 free lunches distributed to office workers right across Dublin. The tasks involved for this were, firstly, an initial sitdown with the client to see how we would go about implementing such an undertaking, the most ideal means for promoting such a competiton (making what the prize was & how to win it as clear to all potential competition entrants as possible), distributing the prizes &, finally, making redeption of the prize as straightforward as possible. The competiton was promoted primarily online, given prominent promotion on the websites concerned, through well crafted e-zines, & through facebook & twitter, reaching a huge target audience using a variety of channels for maximum impact. The competition ran for a full month with 80 free lunches distributed at the end of each week. Prizes were typically sent out via email to the lucky winners, & then feedback from them was required so as to coordinate which market they were going to go to & when. The end result for the client was huge publicity online which then translated to huge droves of target consumers heading down to sample the markets, along with their friends. The project was a big undertaking, personally, but there were lessons learnt to be taken forward for the coordination of future large-scale promotional campaigns.